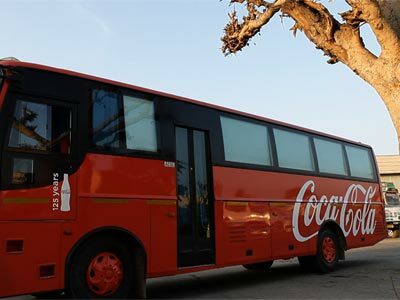 Hindustan Coca-Cola Beverages, the Coca-Cola Company's largest bottling partner in India, has expressed interest to set up a Rs 1,000-crore bottling plant in Telangana and has sought land for the proposed venture. HYDERABAD: Hindustan Coca-Cola Beverages, The Coca-Cola Company's largest bottling partner in India, has expressed interest to set up a Rs 1,000-crore bottling plant in Telangana and has sought land for the proposed venture. "Executive Vice President of the company (The Coca-Cola Company) and President, Bottling Investments, Irial Finan and the Chief Executive Officer of Hindustan Coca-Cola Beverages Pvt Ltd (HCCB), the company-owned bottler in India, T Krishnakumar, conveyed the proposal when they called on Chief Minister K Chandrasekhar Rao at the Secretariat here," an official release said. The release quoted Finan as saying that the company is interested in setting up a mega plant with Rs 1,000 crore investment in the State and needs the support of government for the purpose. The Chief Minister assured the delegation of full support from his government, including identifying suitable land for the proposed plant, the release said. Telangana Chief Secretary Rajeev Sharma, Principal Secretary to Chief Minister, S Narsing Rao and Managing Director of Telangana Industrial Infrastructure Corporation, Jayesh Ranjan were present at the meeting. According to Coca-Cola website, Finan is responsible for managing a multi-billion dollar internal bottling business.